Vinicola del Priorat is a unique cooperative operation in the heart of Priorat’s wine growing area in southern Catalonia. Formed by farmer-producers, this cooperative organization is unusual because it manages the entire process of wine production, development and marketing. The cooperative is made up of over 140 partner producers and the wines are made with slow fermentations, long macerations and natural stabilization. The wines are complex, structured and quality-focused with tremendous value from a renowned wine region. Tiny and entirely composed of craggy, jagged and deeply terraced vineyards, Priorat is a Catalan wine-producing region that was virtually abandoned until the early 1990s. Inspired by French quality winemaking and the dramatic nature of Priorat’s vineyards, a handful of winemakers decided to reclaim Priorat for quality wine. Grenache and Carignan grapes are selected from the best vineyards. The grapes are hand harvested, de-stemmed and crushed before fermentation in stainless steel vats. Cold pre-maceration, followed by a warmer fermentation and malo-lactic fermentation in vats. 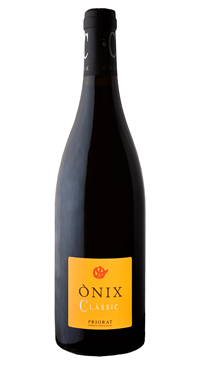 This wine does not see any oak, so the emphasis is on pure primary fruit aromas and flavours. Pronounced red fruit aromas, balsamic notes, good structure and fine tannins. This is an elegant wine with a bit of flourish!